Last Tequila tasting of the year! Suerteis the brainchild of Co-Founders Laurence Spiewak and Lance Sokol. Lance from Mexico City and Laurence from Philadelphia first met one another in Boulder, CO and quickly realized they shared the same passion for great tequila. They often discussed the idea of creating their own tequila house, but this did not happen until Lance met and tasted the tequilas from Master Distiller Perdro Hernandez. Pedro is from highlands of Jalisco. He was an attorney until he decide to make tequila from blue Weber agave grown on his family’s property. He spent six years making tequila in the traditional manner by slow roasting the pinas and crushing it with a Tahona (a large wheel constructed of stone). 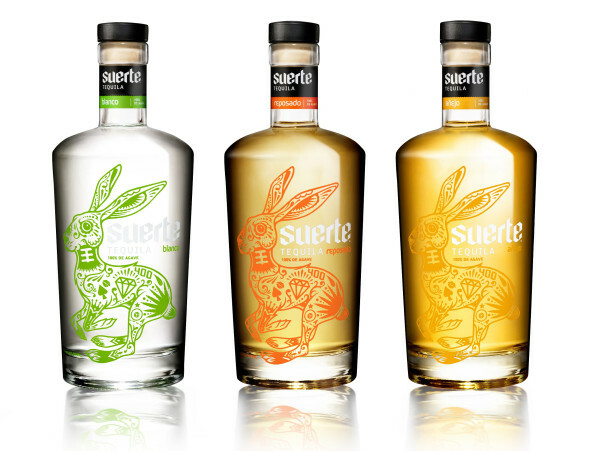 In 2010, Suerte – the Lucky Rabbit – began distillation and two years later it was released to the market. After many years, Lance and Laurence completed their goal: produce a traditional tequila with the purest essence of Blue Weber agave with a clean, modern package that will be affordable to many! The Harvest – The Blue Weber agave plants are harvested after 8 years of growing slowly to the size of 200 pounds with a leaf and heart span of up to 16 ft!!! The Aging – “Now we have our tequila, the final steps determine what expression it will become. For Blanco, it’s off to the stainless steel tanks for 2 months before bottling. Four wines, four countries, one great tasting! Click here to learn more about Sip Happens.